39 He was accompanied by Nicodemus, the man who earlier had visited Jesus at night. Nicodemus brought a mixture of myrrh and aloes, about seventy-five pounds. 40 Taking Jesus' body, the two of them wrapped it, with the spices, in strips of linen. This was in accordance with Jewish burial customs. 41 At the place where Jesus was crucified, there was a garden, and in the garden a new tomb, in which no one had ever been laid. 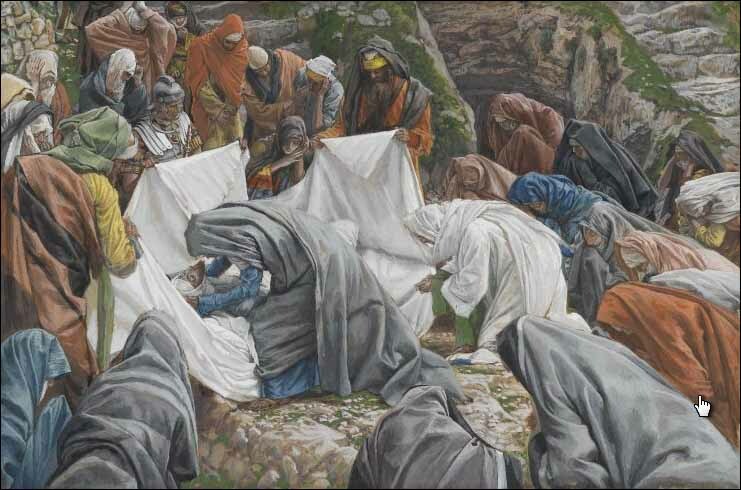 42 Because it was the Jewish day of Preparation and since the tomb was nearby, they laid Jesus there.